It's a big day at Get Rich Slowly HQ. Later this morning, I'll speak with my book editor for the first time. This project is about to devour large chunks of my life. Fortunately, the new Staff Writers will pick up the slack. (Actually, to be fair, I think they'll more than pull their own weight.) Here, then, is the first contribution from Adam Baker, Get Rich Slowly's first-ever Staff Writer! Receiving a “mini-windfall” of unexpected income is an awesome feeling! However, I have a confession to make. Courtney and I are terrible at handling how we spend these pleasant surprises. More times than not, we find it insanely easy to justify squandering this unexpected money on impulse purchases, even when the rest of our budget is working well. For the most part, we've slain the “justification” monster in our budgeting life. We've desperately attempted to eliminate the “I deserve this…” mentality. However, when it comes to “mini-windfalls”, somehow we seem to always break down. I'm referring to the $40 in the birthday card from a relative. Or the extra $125 you made selling some stuff at the neighbors garage sale last Saturday. Even miscellaneous income from side jobs would fall into this category if not included in your normal budget. You can see this phenomenon amplified during two specific times of the year in early February and late April. Why? Those are the peak times for income tax refunds. While preparing taxes this year,I listened to countless people tell me what they would be doing with their “unexpected” money. We aren't the only ones who are quick to justify non-budgeted impulse purchases with windfalls of this sort. If we are being blunt, it shouldn't matter if the money comes in the form of a bi-weekly corporate paycheck, a quirky birthday card, or a instant tax refund chain. Once the money is in our hands or hits our bank accounts, it all spends the exact same. While you can't really argue with that logic, many would be quick to point out that they enjoy the different contrasting tastes. They enjoy the process of selecting what the next bite will be. They don't want to just combine everything together. While some may be able to effectively treat all income equally, most of us have some sort of internal struggle. It seems like no matter what the amount of the unexpected income, I can always match it up to something I've been wanting forever. It's a nasty financial habit. One that I've honed with many years of practice. Let me be clear. It's perfectly fine to spend on wants. It's a great idea to “blow” money from time to time. But if we aren't conscious about how we handle this process, it can spiral out of control. Courtney and I realized that we needed to establish parameters on how to deal with this sort of income before it actually arrived. We weren't against allocating a portion of it to indulge our wants, but we did want control over the situation. If we were going to “blow” money, I at least wanted a say in it. We no longer had interest in letting our whims have free rein over this portion of our income. As I pointed out above, ideally we could just treat all income equally. We'd budget it all the same and allocate the “unexpected” in the same fashion as our normal paycheck. In practice, however, many of us still find ourselves compelled to splurge. Choose one specific, tangible goal to “catch” all extra income. The key is to select a specific goal ahead of time. For example, many choose to immediately throw any non-budgeted income at their debt. Once they've established what order they will pay off their debt, they simply apply all extra money as soon as it appears. This can also work for other goals, such as paying cash for your dream car or saving for a down payment on a house. My experience has been that if you pick a compelling goal, you'll be inspired to find even more ways to increase your “unexpected” income. A worthy side benefit of this tactic. Allocate a pre-determined percentage to “blow” money. This system is commonly used with larger windfalls (inheritance, sales of major assets, etc…), but can be applied to the smaller ones, as well. For example, you may choose to allocate 50% (with smaller windfalls) of any non-budgeted income to be spent as “blow” money, while they other 50% is either funneled into the normal budget or put towards a specific goal (as above). This tactic also can motivate you to find more ways of generating income. After all, the more side income you bring in the higher the percentage you get to apply towards personal wants. Keep in mind, that neither of these tactics is going to completely solve the issue. I'm not a big fan of outsourcing responsibility onto a system of some kind. However, experimenting with these two techniques has helped me maintain control over an area that is a reoccurring weakness. Once again, it's all about consciousness. I feel empowered when I consciously choose how I treat all income that comes into our life. Even if I choose to spend it in the same way, I like knowing I'm in control. How do you handle unexpected income in your life? Do you lump it all together or have you designed a specific system to handle it? What techniques do you use maintain control? There are 74 reader responses to "Making the Most of Small Windfalls". We have all our finances on autopilot and dont do detailed budgeting every month. Since we dont much in debt, except some student loans left. We generally take the extra income and put it into our travel account, I love traveling around and seeing places so this works out great. We have an upcoming “windfall” of $40 coming our way. I’ve been agonizing about how that money is going to be spent, because there are some things we need. Then my husband told me this week he would be getting a bonus in his paycheck, much more than $40. We have a savings goal, and since the $40 will satisfy what we need to buy, the larger sum can go freely to savings. One thing I like to do is have a “cooling off” period before spending any windfall money. It’s easy to get excited by the world of opportunities that awaits you when the money arrives. However, if you just stop for a few days and let the money sit in your bank account…you start to come to your senses a little bit. In my opinion, every windfall should be saved; however, when I get a bonus, normally I try to fund my “christmas account” and my “entertainment account” equally with 10% each. The rest (80%) could go splitted to “high risk account” to purchase stocks, and the other amount to buy gold (ETF’s). Any windfall gets thrown into our dream cruise fund. It keeps us from spending it and this money acts as a secondary emergency fund should we ever need it. Sometimes if it’s a large amount we use it to purchase something off of our improvement list. We have a list of items and things that we need to do to improve our home but aren’t necessary. For example, next time we get a big windfall we’ll use the money to buy a nice water filter. I’ve done my share of squandering windfalls! Surprisingly, I’m better at saving the $40 here-and-there ‘windfalls’ from receiving gifts, a rebate check, or selling books at the used bookstore. In my younger years, I’d been known to spend large bonuses on eating out, drinking, and clothes…. never remembering later exactly what I’d bought. Now, however, my fiancee and I are likely to put all ‘windfall’ money (such as his upcoming bonus from work) towards paying off debt or towards bills. I dream of the day when that’s all paid off and we’ll put bonus and windfall money towards savings or travel! We used to use all extra money as blow money. We would use it for fun stuff. And then we decided to get out of debt. Now all extra income (except birthday money) goes towards debt. But we are almost done and soon these windfalls can go towards something a little more exciting like a vacation! Yep, we put our “windfalls” in a travel savings account. We’re saving up for a trip to Europe. When we make money with little side jobs of our own (playing piano for me and photography for my husband), we keep half for ourselves and put half into our joint travel savings. I’ve always wanted to do better with this sort of thing, but my husband and I aren’t on the same page. He just got his $380 clothing allowance, and that’ll be put towards the ~$850 seat he’s decided to get for his car. I tend to take the “extras” like that out of the equation and deal with unexpected money completely different. If not, I’m afraid that we wouldn’t be able to live during times where no extra money comes in. Tax refunds have gone to debt and savings in the past, and this year it’ll be split between spending money for us (tiny portion) and savings for travel. Eventually, I’ll get a rewards check from my credit card and will need to figure out where that should go: either to my debt (itty bitty car loan), emergency fund or travel fund, depending on when that comes. I’m good at managing the tiny bits of money I get, but the whole picture… Eh, it’s a work in progress. I’ve been guilty of this and it was a good reminder. Thanks. Welcome aboard. I work FT, but I freelance on the side. Since the freelance income isn’t a given, I consider it “windfall money” and toss it right into our savings account. In addition to padding our emergency fund, it helps pay off our credit card debt and occasionally is used for something fun! We’ve done what you propose, J.D., and identified a truly compelling purpose: DH likes to say that it’s our “Holy Mission” to pay off our mortgage ASAP. That included saving the largest downpayment possible, BEFORE getting into the mortgage game 5 years ago. Two years left to go. Even we are surprised at how quickly it’s going down! Still, we’re somewhat flexible. Two years ago we forked out an extravagant amount by our standards to accompany my parents to The Olde Countree, and stay in swanky hotels. Ugh. Still makes me cringe to think of the unnecessary cost. Still, parents aren’t around forever, and we won’t travel with them ever again. It was worth it for the memories and the happiness quotient all around. I use the percentage system. 10-20% of the windfall (depending on the amount, the percentage is smaller if it’s a large windfall) goes into my splurge fund. This is also where any money that’s left over from my weekly budget goes, and funds stuff that I couldn’t ordinarily afford from the weekly budget. The rest goes straight into savings. For larger windfalls of more than Â£500 (e.g. when a consultancy cheque comes in), I try to remember to spend a small amount (up to about Â£10) on a treat for myself. That comes out of the splurge fund though, not savings. As an avid poker player, sometimes I get these “unexpected” windfalls. One night I won a couple hundred bucks and I said “OH RIGHT!” and went to mall of america with my girlfriend to go get new clotehs. I should know better, since I had been playing regularly for about three years when that happened but I couldn’t help but feel I “deserved” it. There’s one big problem with this: “unexpected” losses. The next week I had a tough session and lost half of it. I was upset because I knew I should have planned for this to happen, and spend only 10-25% of the profits. I think more than anything we need to beef up our savings whenever we get unexpected cash. What if something tragic happened and you needed to take an extended time off from work? What if after that you couldn’t get back in your field and when you did start working you made less than 30% of your previous salary? Some find it ironic that I am a poker player who is very risk-averse, but I think we all are risk-averse but to different degrees. Take the windfall income and throw it into savings or a reasonable investment. You never know when you might need it. I have to admit that I still haven’t quite solved the “don’t spend it all” mentality. Although, it definitely depends on how the money comes in. A lot of times, if I take a freelance gig (which could be considered windfall since I work FT), it’s specifically so that I can buy something I’ve been wanting – and thus keeps me from getting off track on my budget/debt repayment. When I sell things like books, I have been good about putting that toward debt. The big problem is with gifts. I really need to work on not blowing that on fun/useless events/things. One thing I still don’t understand, and never have, are the people that plan all year how they’re going to blow their tax refund. I guess it’s psychological for them and me, but I’d rather have the money now – and so I adjust my withholding to make taxes due/refunded Â± 0 at the end of the year. That way, I can (and do!) use that money toward debt as needed, or could save for the trip etc, and let it accrue interest (or save me from paying interest). I guess maybe a lot of people don’t mentally connect the part where their refund isn’t “free money” – they just paid it out of their paychecks earlier in the year (certain credits notwithstanding [homebuyer’s, EIC, etc…]). I don’t really have a problem with how I utilize my windfall money. The way I look at it is this: it’s money I wouldn’t normally have, so I won’t miss it by putting it towards debt or savings. To me, finances are like a game of war, debt vs savings. That windfall money is like the reinforcement paratroopers dropping in on the front line. You can’t have financial peace as long as debt isn’t defeated, and when it is, your savings army needs to be at full strength in case another confrontation emerges. Finances are extremely fun to me. I love working with the numbers, and I love watching the progress I make. Even if it’s slow. That is a powerful mindset, and one that is very easy to overlook. It is WAY too easy for us to forget that “giving yourself a raise” and reaping the bennys of our hard work… is one of the most powerful and basic concepts of all entrepreneurs. Simple… I put 75% of all extra windfall money toward my debt repayment and 25% toward my savings (The Balanced 75/25 Method). I outline this simple and balanced approach to savings contribution and debt repayment on my website… check it out. In the past, I’ve been known to splurge on the wanted things that I imagined up when I had a windfall of money. Now, my windfall account is my IRA or my money market account. If my IRA is already full for the year ($5000 per year), I will just direct it to the money market account where it’s still liquid, but earning interest. I have paid off my Jeep and have no credit card debt, so now I’m just tackling the student loans and the mortgage. I like to keep a healthy bit for emergency and travel so we can do the trips that we dream up. That’s what life is about: the experiences. Economists have given some thought as to how people spend bonuses or windfalls. Milton Friedman’s “permanent income hypothesis” is that a windfall will have little impact on consumption. This is a macro way of thinking. Of course individuals will react differently. But, on the whole, this hypothesis says that one can’t expect a great deal of additional consumption from a population handed a bonus. There is only a small stimulative effect from a tax rebate, say. We try to strike a balance between using windfalls sensibly and still treating them as bonus money, outside the budget. We have a list of things we really want but don’t actually need (new: iPod, motorcycle helmet, skis, carpet, furnace, etc.) and when windfalls come we generally spend on something from the list sooner than we otherwise would. This way we don’t blow it on random stuff but still get the pleasure of an unexpected purchase. If the windfall is insufficient to buy any particular item, we save it. We did not employ this strategy, however, until all non-mortgage debt was paid, retirement savings were being fully funded, and a strong emergency savings was in place. At that time, we split windfalls 50/50 between spending frivolously and saving; in retrospect, I’d have put more to savings. Also, I would not consider a tax refund a windfall – it’s just a return of your earned money and belongs firmly in a standard budget. I think that a distinction SHOULD be made for the source of the windfall. In the case of things like work bonuses, garage sale proceeds and tax refunds (where the source of the windfall is actually earned income)the money should be treated like any other income and distributed accordingly. In the case of gifts, however, I think the givers intent should be considered…ie, Grandma likely intends that the $40 she slipped in your card be used to treat yourself to something nice…and likewise should be used as such. Nice article, Adam. I agree, the key is to have that financial goal that you’re saving for with the windfalls. For me, the windfalls go into my triplet’s respective 529 plans. Being just born a few months ago, I am making a mad charge to maximize the money going in there now to take advantage of compound interest. That will likely continue for another year until I start preparing for our next vehicle purchase. I did this last year to pay off my home mortgage. I think if I didn’t take this care, I would have the world’s largest book collection. Looking at some of the Comments, many seem to share my view of disappointment when it’s all spent. I remember getting a windfall and took a week’s holiday to North Africa. Although it was interesting to experience a new climate and culture, when I got back I felt foolish that I had an empty wallet! Admittedly this is not feasible with a $40 windfall, but if you received a few thousand then you could research either (a) how to start an internet business; or (b) how to invest in options to achieve 3% per month. These are two I’m thinking of enrolling in. I’m not a saint, though. I’ve also been carefully studying the travel agent’s brochures to exotic places. One of them suggested renting a place in Panama to help you decide whether you’d like to re-locate there, as you can buy a place and live so much more cheaply there, and get a fine life-style for a much lower cost. It feels like I’m being coaxed towards Tim Ferriss’s “4 hour workweek” – gain a consistently favourable income from smart trading, while keeping your costs low by living in a nice place with low living costs. That would be a brilliant outcome from a windfall in the thousands! When my checking account balance is normal (I tend to carry a balance in my checking account that will cover all expected expenses for the next month), all windfalls go into the savings account. If I’ve recently paid property taxes or some other large bill, I put windfalls into the checking account to get the balance back up. Side subject: I strongly recommend you do not escrow your property taxes or insurance. Paying those bills keeps you focused on how much you pay each year – and it definitely motivates me to write to my elected representatives to ask them to spend less. We do the percentage method – that way we get the feeling of “woohoo, free to party!” without making a serious impact on saving money for important things. I’ve learned over the years that a smaller splurge can be as good as a huge one (and sometimes better, because you don’t get spending hangover). One point is that sometimes people abuse the “windfall” idea by intentionally “forgetting” about upcoming refunds or money they already have. Just because you forgot about your tax refund or some money in the bank doesn’t make it “found money”. I thoroughly enjoyed this post, from the writing to the message. I also was going to emphasis the same point as Moneymonk (#28)…so I’ll just say ditto! Whether one chooses to blow the money or save, etc. is less important. As long as you are consciously making a choice about the matter, you are ahead. How far ahead is a personal decision and not ‘wrong’ unless it doesn’t work for you (e.g. ALWAYS choosing to buy more stuff when you haven’t paid off the credit card debt for the past stuff, etc). The larger “windfalls” (checks from my parents, as an “advance” on the inheritance) get used for my Roth IRA and to make up for the money deducted from my paycheck for the retirement plan at work, so I can afford to put more into my 401(k) (I went to graduate school, so I’m playing catchup on the retirement savings). Smaller stuff gets divided among the emergency fund, travel fund, and major purchases fund, depending on their current levels. Cash does tend to just get spent. Which really doesn’t properly credit Adam for his work. It’d also make for a confusing article if it wasn’t for your disclaimer paragraph at the top (who’s this Courtney person J.D.’s writing about?). Most of these “windfalls” (tax refunds, cash back checks, etc) my wife and I just put in our checking account with the rest of our money. We don’t have any debt and save a decent enough percentage of our incomes automatically (via maxing both our 401(k)s and whatnot) that if we spent every dollar in our checking account, we would be fine. But usually we build up a surplus in our checking account (both from windfalls and just regular income) and transfer it to savings every now and then. 1) Gifts – As others said, those who give us cash gifts want us to treat ourselves with it. But furthermore, if we say to ourselves “we are buying this item with money from that person,” then we think of that person when using the item. I personally like thinking about my family members so this is a nice benefit. I agree with post #22, that the source of the money makes all the difference. Bonuses and any tax refund are earned income. (The latter is such a stupid idea. Why give the government an interest-free loan? We adjust our withholdings so we get our money all year.) Birthday, holiday, or other gifts of cash, however, should be spent on something you like, as the gift giver intended, rather than on a regular expense that should be in your budget. Adding it to a vacation fund is a great idea. Then as you’re eating dinner while on a trip, you can toast grandma or mom and dad and thank them for the great meal you’re about to enjoy. I’m very lucky in that Ihave no debt, and my house will be paid off in December 2010. However, I’m a widow as of 2006, and I’ll retire in 2016, and it will be a very frugal retirement. My late husband liked to collect a lot of different things, all fine things, not junk, but they are of no use to me. A complete professional darkroom and all its appurtenances, for example, and of course several cameras, lots of lenses, etc etc. Then there is the art, the Southwestern Indian pottery, the Near Eastern antique copper, a bookshelf full of first editions, and a garage full of his father’s and grandfather’s woodworking tools. I don’t need any of that stuff (and I have plenty more from *my* side of the family. I decided that any money I get from selling all this stuff is going into a special Do Not Touch savings account, specifically to have on hand after retirement if there is any large house-type emergency, such as having to replace the air conditioning, fix the roof, etc. I’ve been steadily selling items online for two and a half years now. I recently unloaded the rest of the photography equipment at a regional camera sale, and what a load THAT was off my back – and out of my dining room! It’s working pretty well so far. I’m really glad I decided this early, because I’m very much prey to the “I deserve this” mentality you write about. I enjoy GRS very much and it’s helping me with all the advice and tips about simplifying my surroundings and life. My son is especially grateful because he’s the one who will have to deal with whatever stuff is left over when I die. …or, just put it into your savings account and stop thinking about it so much. I can’t believe your first ever staff writer took 17 paragraphs of jibber jabber (albeit some were very short) to say this. To me there is a difference between small windfalls like gifts from relatives and the tax refund, the tax refund I treat as normal income and sock it into the budget accordingly. Gifts of 20, 40, etc. dollars though I tend to use in whatever way that will make me most happy, since it is a gift and I didn’t expect it in my life, I don’t feel bad about splurging with this generosity from others. I agree with IDK’s comment 22. A distinction should be made regarding windfalls and birthday money. Along that line of thought, if you are counting a tax refund as a windfall then that is some poor planning. A tax refund is a person’s free loan to the government. My decision of get rich slowly is that I can enjoy life along the way as I make better financial/life choices. I made an ING account for this money, and label it “fun money from windfalls”, for traveling and such. If I were to make a purchase with it, I must move money into my checking account, so I force myself to make the decision whether or not to spend it. I think at the end of the year, I’ll take 50% out and add it to my emergency fund, or put it into my mortgage. Any other suggestions? Amazon wishlists can also prevent me from spending money on things I don’t need. There’s a meat cleaver that’s been in there for months, haha. I usually get a large bonus each year at work, so I allocate it like this: 25% to investments, 25% to mortgage paydown or emergency fund, 25% to my car/home improvement/vacation savings, and 25% to spend freely. It seems the “Choose one specific, tangible goal to “catch” all extra income” method would work best. Having a pre-determined destination for the windfall is the best way to avoid impulse taking control once the money is in hand. The human factor always needs to be addressed. I have a theory that there’s at least a hidden spendthrift in all of us! Great article Adam! 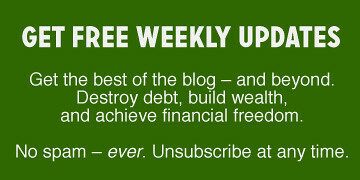 I am going to really enjoy reading your thoughts and ideas on personal finance, in addition to JD’s. I am required to travel with my job, which always yields a hefty reimbursement check for my mileage at the end of each week. My fiance and I used to spend this extra money on things that we wanted/needed like a new vacuum or decorative stuff for the apartment. Now that we are a little more established, we’re putting all of my reimbursement checks into our savings. We’re building up our emergency fund as well as a little extra cushion for our wedding and future education expenses. It feels great to regularly contribute to our savings account, and as long as we automatically send these windfall checks to the bank, we never miss them. ha! my car repair yesterday only cost ten dollars, when I was bracing to spend around $500 and I’m struggling not to treat that unspent money as a windfall. This was very timely. Also, I did have a more traditional windfall this spring. I wrote down everything I could think of that I might like to buy with it, then added up the totals – it was three times the amount of the check! So I stuck the money in the bank and ranked my choices, but did nothing concrete. In the end I wound up spending the money on not one but TWO unexpected trips. Kaitlyn at #42, if you’re driving your own car for work and getting hefty mileage checks in return, you may want to set aside that mileage money for when you need a new car, which may come faster than normal. That’s what we did when my husband first became a salesman, drove his own car, and got mileage reimbursement. When he needed a new car, we had the money to buy a two-year-old Honda Accord for $14,000 cash. A year or so later, however, he switched companies and was given a company car as part of his compensation package. We sold the Accord and for the last fifteen years or so haven’t had any car expenses for him (his employers during that time have paid every single car expense including insurance, repairs, gas and washes). My Honda Civic was bought new and paid for in three years. It’s a ’96 and still only has about 86,000 miles on it and has many more to go per my mechanic. Not having had a car loan for ten years has done wonders for our budget. I use the second suggested method of allocating some splurge money from unexpected windfalls, particularly on larger ones (like a bonus at work). At least 50% goes straight into savings, while a maximum of 50% is blown on something fun. If the fun things I want the most doesn’t take up the full 50%, into savings it goes. I think it’s almost double the fun that way – not only do I get to blow some cash on something extraordinary, but I get the thrill of seeing a sudden boost to my savings, too! I remember when i was in my early 20’s, and it was the year 1999. I spent $5,000 bucks three stocks, one was defunct VCSY, the other two were AMZN, and Yahoo. My position grew to $180,000 in 6 months! That was the biggest windfall I had ever received since then b/c I sold at around $150-160K. The proceeds were then flushed into more internet stocks, which then lost 10%, and I got out. The money was staring me in the face everyday, and as a result I splurged on fine restaurants, cars, and motorbikes. I literally spent $35,000 on “fun stuff” for the next 6 months after, until I woke up and realized my destructive habits. For the tax return, which is often a big chunk of cash, we take 20% (10% for each of as fun money) the rest of it generally goes into our IRAs for that year and/or emergency savings if we already funded our IRAs. We don’t really get any other unexpected windfalls during the year, but any extra money generally goes to savings. I completely understand Adam’s point of view on windfalls. My husband and I struggle with small windfalls, $50 birthday money, $80 ebay sales, etc. It’s difficult for us to take the smaller amounts and stock them away in our savings account. It all kind of ends up being spent on dinners, or something fun. I’m going to make a conscious effort to put the small windfalls in my savings. Staying focus with respect to these “windfalls” was a key to me getting out of my financial mess as quickly as I did. You have to keep your “eyes on the prize” and shoot this income straight to your debt. I’m with those who think windfalls should be classified into categories. Birthday/gift money and additional income or other truly unexpected windfall money. Birthday/special event gift money is used for just what the givers intended – us to purchase something that brings enjoyment (usually off of our running “want list” where we keep track of things – avoids impulse buys). Additional income or unexpected windfall money goes toward specific goals outside of our normal budget. I am a little confused by those saying windfalls should go in the “normal budget” – with a zero based budget, there’s nowhere for it to go, thus it’s always going to be outside of normal. Can anyone clarify? For example, we just found out about some unexpected funds that may be coming our way and have decided it will be split between paying extra on student loans and funding our house downpayment fund. Both of these items receive some funding from our “normal” budget but are also areas that we know ahead of time we’ll send extra $$ toward. I also agree with Ilk — source has to be considered. My grandparents gave us cash as gifts, and now that they are gone it’s nice to have a few things around my home that I can say “they” bought for me. Some of it’s practical (like a nice set of cook ware) and some of it isn’t (like a small piece of jewelery). (I have a savings account just for gift money so I can save up). I think it also depends on where the money is going. I know I would hate to give someone cash only to have it go towards a consumer debt, but I would be happy to know it went towards a larger goal like a trip, wedding or a down payment on a house. So I spend gifts I receive accordingly. David at #49, it may be hard to believe, but many, many people don’t have debt. We don’t abuse credit cards, don’t have car loans, and didn’t buy houses that we couldn’t afford and without a substantial downpayment. That’s why we’re irritated at having to bail out those who were living the high life and now expect the government or others to come to their rescue. Adam makes some great points. Being that I think a lot about how couples interact when it comes to finances, I think the two points on having a predetermined goal and a certain amount you can “blow” on indulgences is important. As a couple figures those items out, it is important to think about whether these will be individual goals or goals within the marriage. An example: my wife and I both earn extra income at times through hobbies of ours. Should we pool our extra income together to buy one item or should my income go toward a goal I want and her income toward a goal she wants? We are still pretty new to GRS and reading books like The Total Money Makeover, so I’ve found that we’re still sort of tweaking the budget as we go. This makes the small windfalls like a gift to keep us from going into more debt. As carefully as I planned our budget, I still find that there are a few things I forgot. Remembered the annual dump sticker but didn’t properly account for needing the septic tank pumped. At least now I can pay for the dump sticker and tell my husband that we can do the septic next month — this is a huge improvement! But with the new (TIGHT) budget and the childcare costs of summer, we’ve definitely just squeaked by with some tiny windfalls to ease our way. What I am really having trouble figuring out is whether our withholdings are right. If I could reduce them, we’d just have that extra bit in the budget. But when I try to figure out if we can, I always get different numbers. irs.gov says we’ll owe money, which seems really hardly possible. And other websites say we’ll BE owed. It will be hard indeed for us to come up with extra cash if we do owe, so I want it to be right! I know it’s probaly not quite the right way to do this, but at this point I’m hoping to just leave the withholdings and hope this year there’s a refund that I can apply towards debt. And next year I will be better prepared to adjust withholdings appropriately. All windfalls are put right into the bank and then at the end of the month what is left over after paying bills is applied to the remainder of the credit card debt. Sometimes I do have instances that I’ll use any cash i get for small purchases like a soda at the gas station, but otherwise it all gets fed into the bank. Took me a few years to figure that one out! A lot really depends on the size of the windfall. $100 will always find a use for some purpose that needs to be taken care of. $1000–now we’re starting to talk about a dilemma! $100 or less will probably go for fun money, $1000 or more for either savings or the paydown or payoff of a debt. @Rae # 15 and @Barb #33 – People always say to adjust your tax payments so that you end up getting a $0 tax return, and the explanation is always “why give the government an interest-free loan?” – well, why not? No one ever explains how that’s a bad thing, to support your country and infrastructure instead of gaining a few dollars in extra interest for yourself. Personal finance isn’t only about getting more-more-more for me-me-me. Is there a side to this I’m just not seeing? I also agree with Tyler #31 – if you could change the byline for the articles written by your new staff writers, J.D., that would be awesome! then they would be properly credited, and you wouldn’t have to include a whole disclaimer at the top of every staff article, and readers would know more immediately who is “speaking”. If you can fix the thing where commentors get dumped on the main page (re: your now-removed comment #50) that would be awesome! EDIT: Looks like you fixed it! Yay! I have about 2k coming my way. I exhausted myself thinking about all the things I could do. I decided to write in my journal what I wanted vs what I needed. I set a certain amount of money as low money and I feel much more relaxed and under control now. I know I would hate to give someone cash only to have it go towards a consumer debt, but I would be happy to know it went towards a larger goal like a trip, wedding or a down payment on a house. I’m on the opposite side. It makes me happy to be able to pay down a debt (like an old student loan), so I consider it a nice thing to use a cash gift to pay it down. I don’t need more random Stuff to clutter up my life. My mom used to give me small bits of money after I graduated from university. She wanted me to get myself “something nice”, like new MAC eyeshadow or nice shoes or some other kind of physical treat. I put it toward my debt instead. She was annoyed at first – “But I wanted to give you a present, not give the bank one!” – but she eventually she understood that I wanted to be financially independent someday more than I wanted “something nice” now. For the past 2 years, we’ve been super charging our mortgage payment and have REALLY whittled it down to a very manageable size. The windfalls all went toward that. Now, with a 15 year old likely off to college in 3 years, all the smaller checks will go into a separate savings account specifically for odd and end money to apply to college. So, any consignment shop checks, marketing research checks, rebates, and the like are all going straight to the bank for that purpose only. Then, we won’t have to draw from cash flow for those application fees and dorm room essentials! But, no matter what, our mortgage will be history, and it would likely hurt less to take out of cash flow. As a single mom with three kids, there is no question – windfalls go in the savings. I have no debt, but am still working on building up my emergency savings to the “9-12 months of income/expenses” level. When my father died in March, I received $10,000. from an insurance policy. I couldn’t think what to do with it, aside from depositing the check, so it sat in my checking account for months. I didnt want to simply spend it, I didnt want to just keep it to do nothing. Thinking about it, I want to be able to do something special with it, but nothing has yet appeared. I have no debt except for mortgage. Eventually, I transferred it to my online high-interest saving account. Until and If I ever decide to do something special with it, at least its earning some nice interest at a better rate than checking. We put windfall money into the usual savings and checking buckets and spend it or not as regular expenses or opportunities come up. We try not to link a windfall with a new expenditure that we would not have done without the windfall. We just have a line-item on our budget under the ‘income’ section for “gifts.” We also have one for our credit card’s cash rewards (an annual thing), ebay money, etc. Then it just gets figured into the rest of our budget as that month’s income. However, if we get cash for something, it belongs to the person who received it (in the case of birthday money, for instance) as ‘blow’ money. @Caitlin #57 I’ve actually moved away from the “don’t give the gov’t an interest free loan” mentality, because like you, I can’t come up with an answer for “why not.” I just personally prefer to have my money now, because unfortunately I’m in debt (but getting out!) and would rather use that money toward debt today–and ultimately pay less interest–than let the money sit in the gov’t coffers while I pay ungodly interest rates, and then put the big chunk toward the debt in Feb. Perhaps I’m not being nice to my gov’t or our economy though. :) But, I do think, perhaps egotistically, that my way is better if someone is in debt–any way of reducing that debt is helpful, and paying less interest does count as reducing debt. If not, then do whatever you want, of course! I meant my comment more as stating how I don’t understand the people that consider their return to be “free money.” I suppose it helps some people (although I’d think not GRS readers) save their money instead of blowing it throughout the year – but why save to blow it in one chunk at the end of the year? My parents do it (and blow plenty else during the year), as do many friends and acquaintances, and I have yet to understand. I’m at the other end of the life scale. I’ve retired, have a very healthy taxfree income and I am debt-free. I started marriage while in debt so we had to figure a better way of living. We separated living-day-to-day money from capital. Capital was accumulated by putting aside 20% of my income. Any windfalls had 10% deducted to splurge on whatever, even if it was only a cup of espresso coffee (we couldn’t afford even that in the early days!). This was our reward for being so disciplined with our capital. The rest of the windfall went into our capital. The capital was NEVER spent, it was invested. And only invested in income producing assets, which now produce our healthy income. It worked. It took about 35 years but we are very happy with the result. Adam, this is off-topic, but please cut down on your use of quotation marks! They are really distracting, particularly because you are not always using them correctly. @ Caitlin — I realized when writing my comment that it may be a bit of a prejudice on my part :) I wouldn’t have an issue with paying off a good debt like a student loan or a mortgage, but credit card debt would bother me. It’s silly, because if putting the money against the debt made them happy and gave them peace of mind, than that’s all that matters. The last cash gift I received came at a good time — my one and only watch had just died! It was a no-brainer to decide what to do with that win fall. When I get an unexpected windfall, which I wish would happen more. I take 10% for something fun. I usually put that aside and then put the rest into my ING Account. I use that to fund any vacations or stocks that I will be purchasing. I think if I had a mountain of debt I would put most of it towards that to get rid of the interest. The first thing we should do with a Windfall is Tithe; the second is save for an emergency. MSM (70)–Good point both ways. Just because you have a windfall doesn’t mean you have to spend it on something. You may not have an immediate need, so salting it away for the day when a real need does arise is usually the best course. Keeping it going by banking enough of those windfalls and you’ll be on your way to financial freedom! But like I said in an earlier post, the size of the windfall matters too. $100 might be better spent, while $1000 might be better banked. Great job with this article. Very pertinent topic and very well written. Thank you. I attribute part of my finacial success to having saved EVERY windfall I ever received in my adult life. This includes employment bonuses, small inheritances, tax refunds, cash gifts, etc. (Not yard sale income – never thought of it as a windfall since it was “earned” through my efforts.) It is amazing how much money has accumulated over 25 years. I plop mine into my retirement account immediately. This includes garage sale earnings, selling used books, small freelance jobs, and gifts. My husband’s bonuses go toward our mortgage. 16 months left. YAY!